Your closet holds the most inner and outer expressions of your personality, storing and organizing the very essence of you. 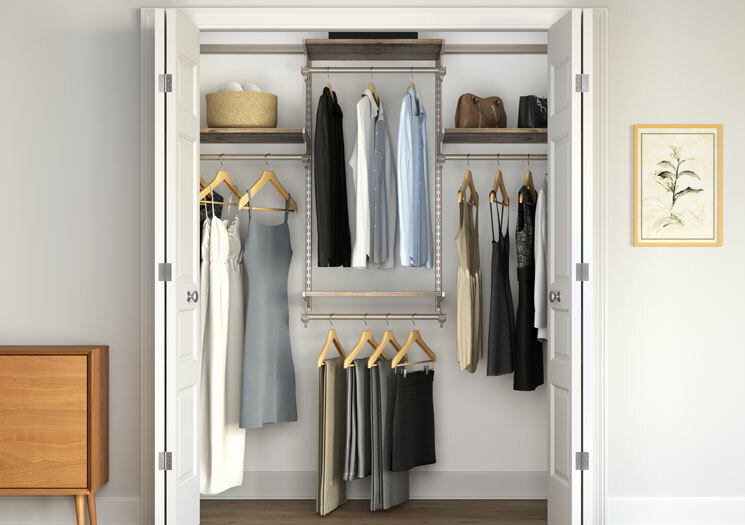 When it comes to choosing a closet system, you want one that is both beautiful and versatile in its appeal – an organizing system that promises balance in your home, and in your life. Elegant, sturdy Closet Culture™ system is a blend of steel, wire mesh and wood, finished with luxurious champagne nickel and rich wood hues. Heavy-duty modular components give you flexibility and fit in almost any space. Clever built-in touches make for easy, convenient storage that offers the ease and assurance of a well-organized home. Closet Culture system balances strength, flexibility and elegance in the care and storage of your every thing, and it is available at many of your favorite stores. See the Retail Sell Sheet for product details. 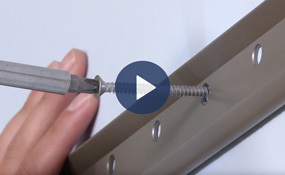 Watch "Closet Culture: The must-have closet for every home" or "How to install Closet Culture closet system."